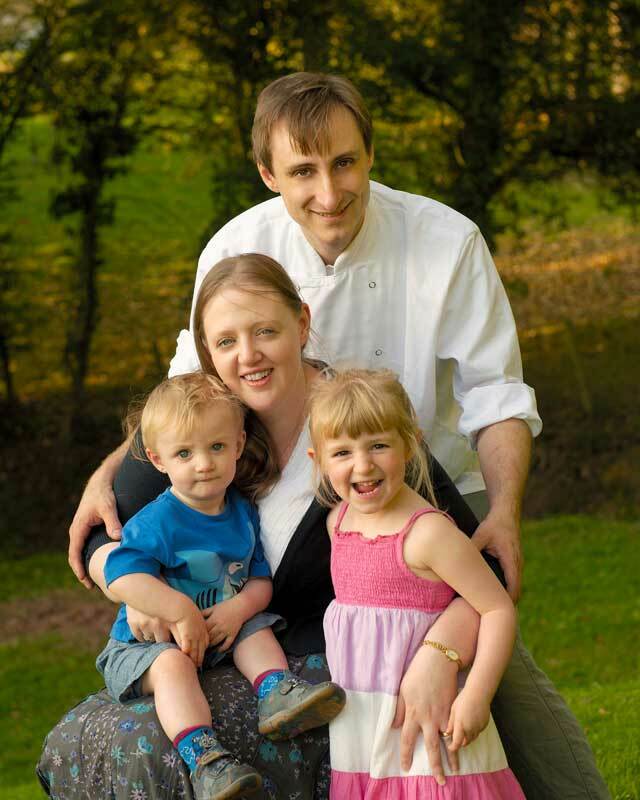 Simon and Kate King are delighted to present their restaurant 1861 in Cross Ash, Abergavenny. Having been a chef for nearly 18 years, Simon has worked in some of the best kitchens in the UK. His working career began for the Roux brothers at the 3 Michelin starred Waterside Inn at Bray. Following a 3 year stint at the Waterside Simon moved on to become Martin Blunos’ right hand man at the famous 2 Michelin star Bristol and Bath restaurants of Lettonie. While working with Martin, Simon was trained in the importance of food provenance and how simple seasonal ingredients treated respectfully create the best culinary experiences. After Lettonie, Simon came to Wales and took up the head chef position at Llansantffraed Court Hotel. It was while at Llansantffraed Court that Simon met his wife to be Kate. Having always lived in Monmouthshire with her family, after leaving university Kate returned to work in some of the most popular restaurants in Monmouthshire before joining Llansantffraed Court as their wedding coordinator. 1861 is born from these experiences, with a quest for truly fabulous food produced locally using local farmers, butchers and vegetable producers. We both feel that Monmouthshire is now a real ‘foodie’ destination, and hope to live up to the excellent standard that already exists in the area. We aim to provide excellent food at reasonable prices, with as local a provenance and as little carbon mileage as possible, as well as creating a warm and comfortable atmosphere to sit back and enjoy a well deserved lunch or evening out! With this in mind, the majority of fresh vegetables come from Kate’s father’s nursery in Nantyderry, ensuring that the time between actually digging up the vegetables or picking them and getting them to the plate is truly kept at a minimum! We hope that you enjoy our newly refurbished restaurant; we have tried to give a lovely old building a clean fresh look, while keeping the character. As a family, we are now joined by our daughter Emily, and son, Thomas; we very much hope that you will enjoy your experience and join us again. Restaurant 1861 is also available for private functions and special events such as Christenings, Birthdays and Weddings; we are delighted to offer an exclusive use policy for those with larger parties. We have the knowledge and ability to plan a truly memorable special event for you, please ask either Kate or Simon for further details. Kate and Simon would also be delighted to provide copies of their Christmas Day or New Year menus. If you enjoy good food in a relaxed, welcoming environment, we look forward to seeing you!